Banarasi Silk (also known as Benarasi SIlk) is a fine variant of Silk originating from the city of Varanasi in Uttar Pradesh, India. Saree woven from this fine silk, known as a Banarasi Silk Saree is extremely popular all over India and across the world. With a mention in the Mahabharata and in the Buddhist scriptures in the first millennium, Banarasi silk have its roots seeped into the rich cultural history of India. Originally crafted exclusively for the royalty, each Banarasi sari was created from real gold and silver threads, taking as much as a year to make. 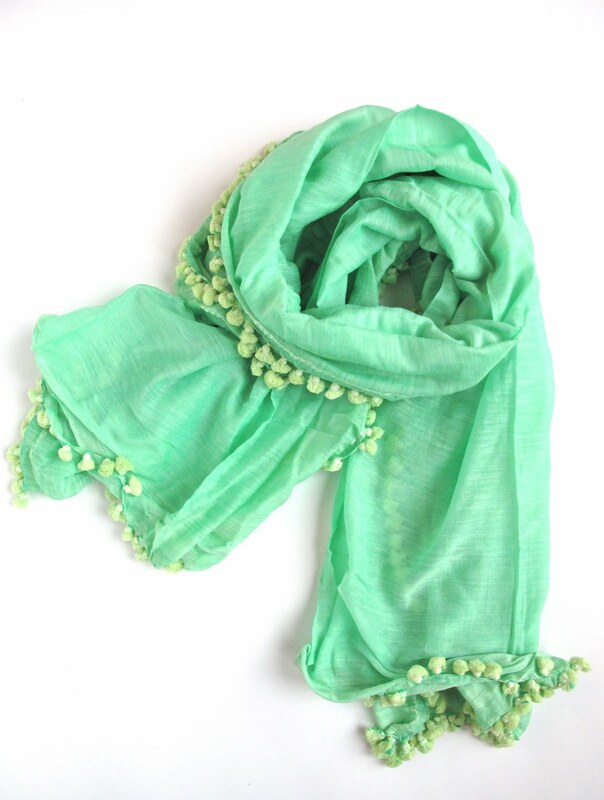 Banarasi silk is an unmatched example of excellent artistry. Mughals brought this fine craftsmanship in India. 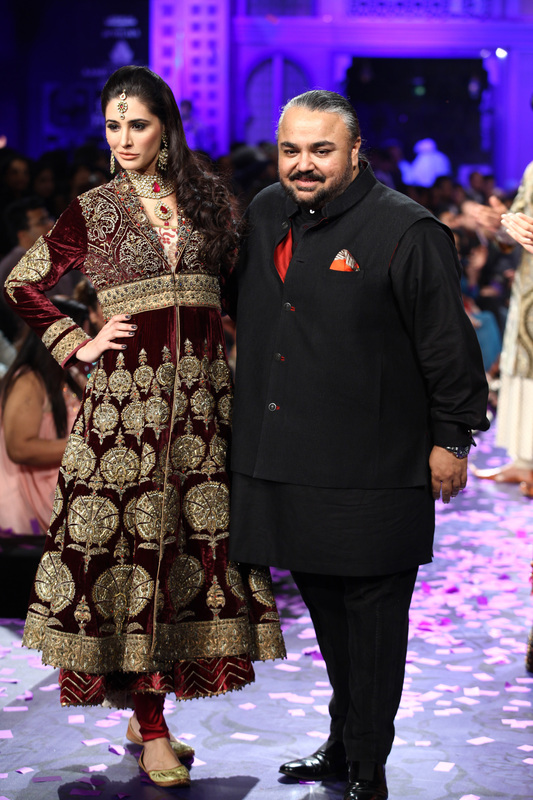 Mughals also tried their best to glorify the art of weaving and designing. During the course of that act, they inspired few craftsmen to work in intricate art of weaving. It was the beginning of Sari weaving art. In addition, at that particular time, Persian motifs were being mixed up with the Indian customary attire. Today’s Banarasi Silks are the product of this particular mix up of two different cultures and exemplary enthusiasm of Mughals. In the earlier times, silk for Banarasi Sarees were being imported from China, now it has been provided by the southern part of India. The art and culture of providing Banarasi sarees with silks is very ancient. The continuations of passing down the culture of artistry of the Banarasi saris from one generation to another have never been stopped. Persian motifs were being mixed up with the designs of Indian silk for creating this distinctive flowery pattern of Banarasi silk sarees, which are so typical in present days. In the present days, Banarasi silk sarees are still considered to be one of finest traditional saris. 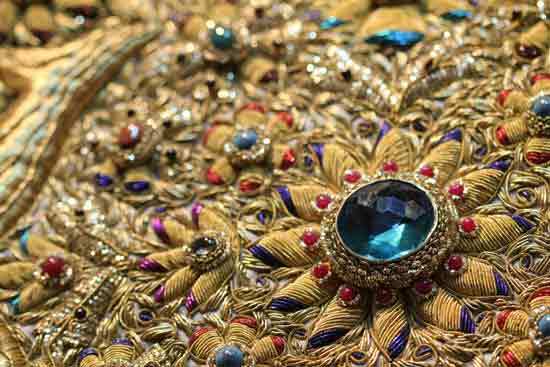 It has actually been well known for its designing and gold as well as silver brocade or the ‘Zari‘. The special characteristics of these sarees are their designs, which are Mughal inspired. Very often, it has been decorated with intricate floral as well as foliate designs. Moreover, you may also find a string of upright leaves, which are called as ‘Jhallar’. The idiosyncratic features of these Banarasi silk sarees include heavy working of gold, small detailed figures, metal visual effects and compact weaving as well. Atleast three craftsmen work together to make up one sari by using the power-loom. One artisan has to weave the silk and one has to dye the silk, where the other one has to engage the bundle of silk, which creates the power ring. The designs are drawn previously on a graph paper. It has been imprinted as a patter for the punch-cards. During the complete weaving procedure, this will be used as a guide for threads. The artisans may take fifteen days to six months for creating the sari, which exclusively depends on the intricateness of the design. If you wish to get a Banarasi sari made exclusively with royal designs, the artisans may even take one year to accomplish that. Currently only four key varieties of Banarasi sarees exist. Banarasi silks are the most important one. Moreover, there will be variations such as Organza and Kora with silk as well “zari”. In according to the decoration and designs, those Banarasi silks can be divided into 6 more segments. These segments completely depend upon the designs. The raw materials will not be the catalyst of those variations. However, those categories will be Jangla, Tanchoi, Tissue, Butidar, Cutwork, Vaskat and most importantly Banarasi Silk Jamdani. 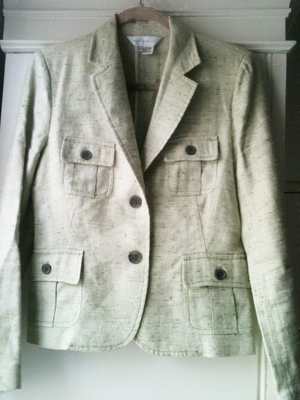 • Jamdani is the technical variation of figured muslin. In these saris, silk fabrics will be brocaded with the cotton. • Jangla saris are designed with colorful silk threads to show the nature and heaviness of festivity. Wildly spreading as well as scrolling designs are the significant features of Jangla saris. • Tanchoi Saris uses colorful extra-weft silk yarn to form the outline. The decoration of these saris will show up as a maze, which may look like kaleidoscopic as well. • Tissue Saris are designed in such ways that the Zari brocade of Banarasi will look like golden cloths. These saris are the combination of zari and silk. • Cutwork saris are the products of cutwork technique on the plain texture, which has been done after removal of floated threads. These types of saris can provide dazzling and glowing transparent looks. • Butidar saris are the dark blue silken saris, which are brocaded with threats of silk, silver and gold in a distinctive manner. Due to the darkness of shade of the gold and lightness of shades of silver, it has been called as Ganga and Jamuna as well. The Banarasi silk industry has been facing quite a competition from the machine made factories who produce Sarees at a much faster rate resulting in huge losses for the workers who make these handmade Sarees. However, in 2009, the weaver association of Uttar Pradesh secured a copyright of sorts for the Banaras brocades as well as saris. It stated that sari or brocade coming from outside the six identified districts (Azamgarh, Jaunpur, Bhadohi, Mirzapur, Chandauli and Vanarasi) will not be eligible for selling under names of Banarasi sari and silks. These traditional and beautiful Banarasi sarees are now recreating a new platform. Even five star hotels and resorts are now being decorated with Banarasi silks. 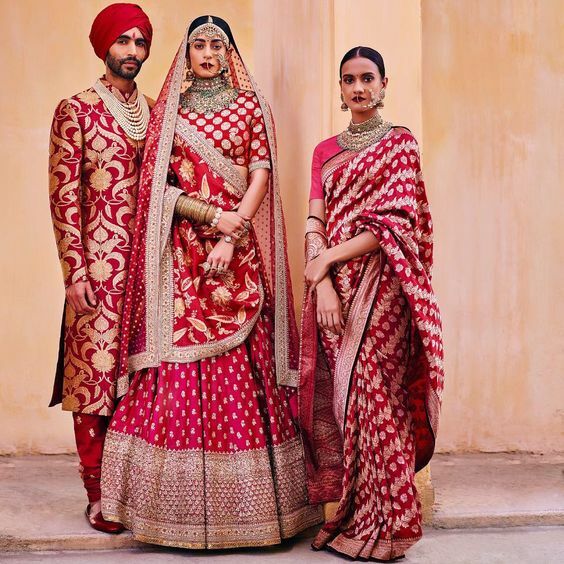 In addition, Bollywood films and popular TV serials are also using the traditional Banarasi sarees for picturing the wedding and festive scenarios. Silk for the Banarasi saris that used to come from China once is now procured South India (chiefly Bangalore). After passing of the copyright rule of the traditional Banarasi silk sarees , the value chain of this industry is climbing up. In addition to that, innovations in this particular field are coming up as well. Newer designs using Banarasi silks are being made up, though those have not yet become popular like the traditional ones. The innovative utilization of Banarasi silk in the Indian mainstream fashion has strongly prejudiced the scenario, which we are currently watching. Moreover, those all alterations and innovations are adding up for changing the big picture. Renowned designers are also working with the Banarasi silks. Even younger designers are at work with this Banarasi silks to provide that a new height and to start a new era as well. Banarasi saris are being used in highly joyful events for many years. A Banarasi Saree is a favorite among the brides owing to its royal aura. Moreover, these saris have specific geometric pattern which suit perfectly with the joyous moments and celebrations. 1. Mahabharata did mention about the Banarasi Silks (which was originally written thousands of years ago). 2. Even centuries-old Buddhist texts mentions about Banarasi silks. 3. The current design of Banarasi was the mix up of Persian design and Indian artistic culture. 4. 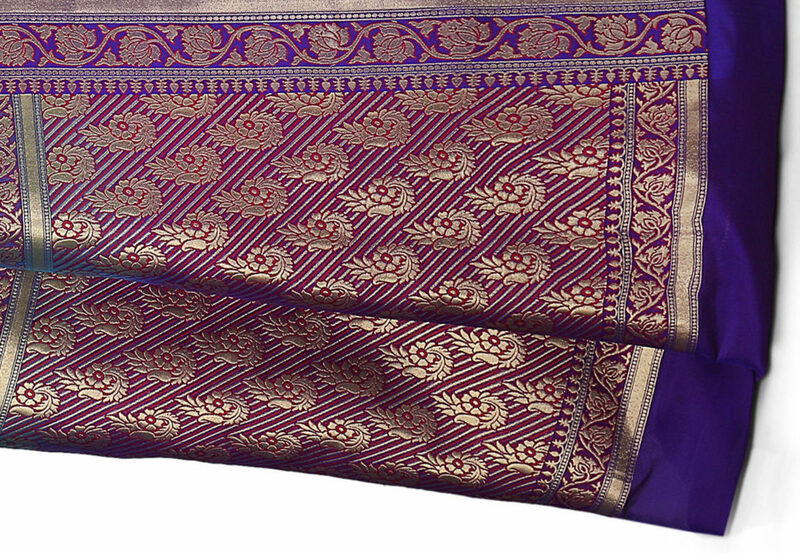 An ideal Banarasi sari consists of about 5600 thread wires. 5. All of those thread wires has to be 45-inches wide (at least). 6. For weaving the warp, artisan creates a 24 to 26 meter base. 7. Three or more than three people must act together consistently to make up an original Banarasi Silk sari. 8. Do you know a single design of Banarasi sari will require hundreds of perforated cards (punch cards) to implement the idea of design? 9. Normally it takes fifteen days to six months to complete a single Banarasi sari. 10. Sometimes it may take even years to implement designs that are more complex.